One of the most important factors in achieving effective crop establishment is ensuring thorough soil consolidation around the seeding zone. Not only does a well-timed pass with a heavy set of Cambridge Rolls improve ‘soil to seed contact’, it also helps to retain moisture, reduce erosion, improve chemical spray contact and decrease slug activities. 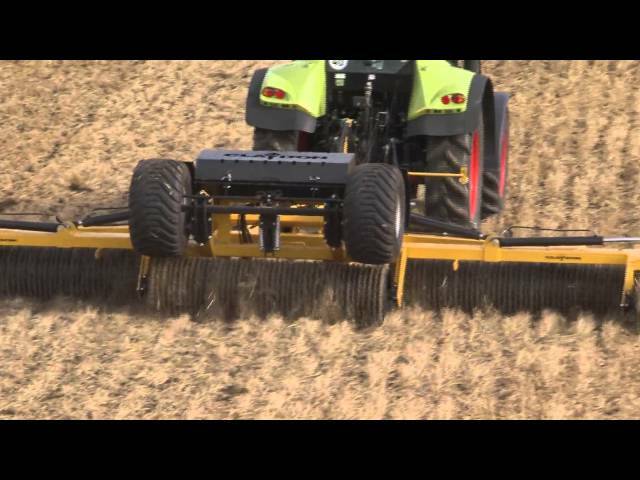 With this in mind, the Claydon Rolls have been developed to allow farmers to effectively roll after strip seeding to ensure the crops are given an uncompromised start. We offer 6.3m, 8.3m and 12.3m Cambridge Rolls. 5 x 2.5m sections fold up horizontally to under 2.85m for road transport. With a low centre of gravity and excellent visibility the Claydon rolls are safe and stress-free to manoeuvre in-between fields. Light boards are fitted as standard. Setting up the rolls for work is simple and straightforward and can all be done from the tractor seat. Three sets of spool valves are required to unfold the machine. There is an option to fit the rolls with a Claydon stone box for carrying stones to the edge of the field, or for holding tools. For optimum performance the operator will leave the centre ram in float and the wing rams pressurised. 8400kg spread across 12.3m means the Claydon Rolls are applying 682kg of pressure per metre. The Claydon load transfer system ensures the rolls deliver uniform consolidation across the whole working width of the machine. 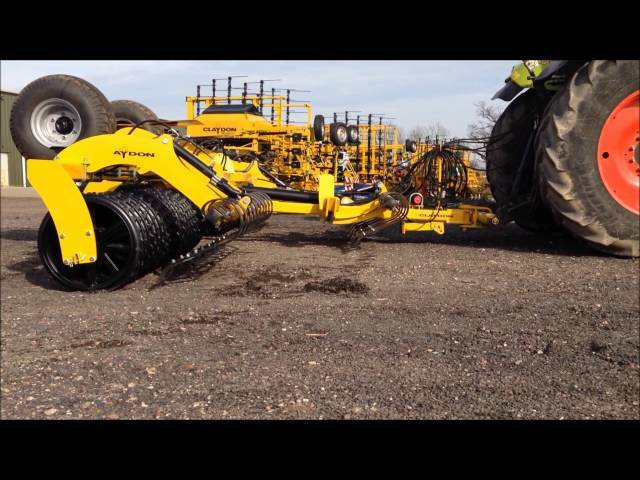 24 inch (600mm) breaker rings working on a 60mm shaft allow the rolls to consolidate down in the seeding rows, creating uncompromised finish. With no more than 120hp required, the Claydon 12.3m rolls will achieve outputs of 6.63 hectares per hour driven at 6kph. The 12.3m rolls work perfectly with 24m tramlines and reduce tractor wheel passes on the field to a minimum. Click here to send us your details and one of our Sales team will call you back. Try our online Calculator and discover how much you can save with the Claydons system. Fill in our enquiry form and one of our Sales team will prepare a written quote for you.